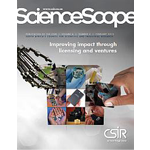 The CSIR is determined to ensure that its work has quantifiable economic, environmental and social benefits, therefore that its innovations are taken up by society. Manufacturing plays a vital role in our economy as a significant contributor to Gross Domestic Product. 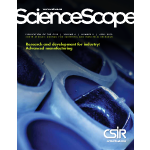 To support global competitiveness, the CSIR contributes research and development to master advanced manufacturing approaches, some of which are featured in this edition of the ScienceScope. 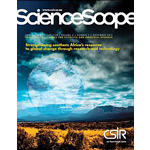 In this ScienceScope, we focus on science and technology that contribute to a better understanding of our changing planet. The CSIR’s work in this area comprises atmospheric modelling, oceanic and terrestrial measurements and observing our climate from outer space. 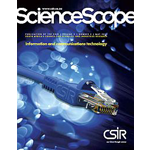 The CSIR supports an information society in which everyone can benefit from better access to information.